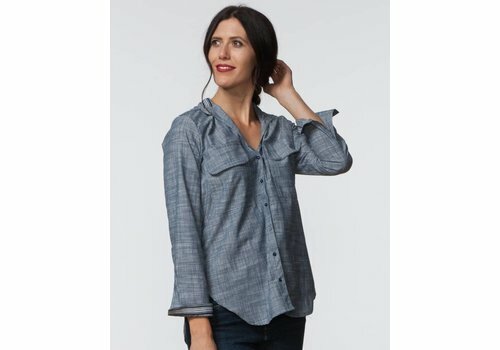 Introducing the Easy shirt by Good Company! 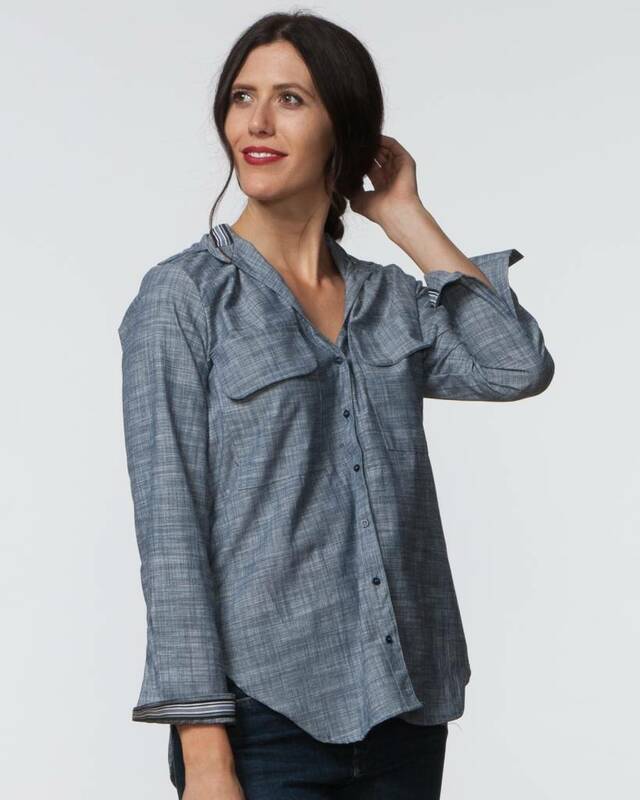 An effortless, relaxed fit, classic button down top with color contrasting stripes in the collar and cuffs. V-neck sleeveless dress with lace trim by Laurence Bras features a straight shape silhouette and hi-lo hemline. Relaxed tent fit dress by SBJ Austin. Features a high v-neck with a drop shoulder and angled short sleeves. Detailed with pleat back detail and hidden hip pockets. Genuine vintage military jacket detailed with traditional 4 large front square pockets. No two are alike. Classic relaxed fit denim jacket with side slits and detailed with front chest square pockets by Citizens of Humanity.